The controversy swarming around the Dresden Zoo naming a primate after U.S. President Barack Obama, conjures the memory of a similar uproar earlier this year when the New York Post published a cartoon by Sean Delonas of two police officers shooting a chimpanzee with the caption, "They'll have to find someone else to write the next stimulus bill." Like so many others, I interpreted this cartoon as a bigoted suggestion that President Obama is a primate an animal of less than human intelligence. 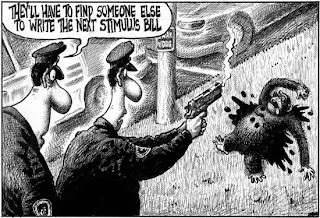 Huffington Post writer Sam Stein explained the implication concisely in his February 18, 2009 piece -- the cartoon implies "the [Obama] stimulus bill was so bad, monkeys may as well have written it. Others believe it compares the president to a rabid chimp." The New York Post later issued a statement by editor Col Allan defending the publication of the cartoon as "clear parody of a current news event" that "broadly mocks Washington's efforts to revive the economy." Out of fairness to the Post, I should also mention that days before the Post published the cartoon, police shot a chimpanzee dead after mauling a woman. The cartoon, Mr. Allan said, was a parody of this event. Ultimately, New York Post owner Rupert Murdoch apologized for the cartoon. 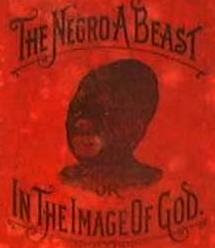 The Dresden Zoo may have not known the painful history of blacks being associated with primates humanlike but not human. Of course, these stereotypes are culture specific and do not always translate the same in a different context. In other words, a German zoo may not understand the offensive connotation that may be drawn readily in the U.S. I am willing to give the Dresden Zoo the benefit of the doubt. In fact, the intent of the zoo is not nearly as important as the subliminal assumptions evoked by naming a primate after a black man. And using these assumptions of black inferiority, intellectual and otherwise, one can easily extrapolate the potential for greater consequences. I am happy to see that the Dresden Zoo was willing to quickly renamed its baby mandrill; and I acknowledge that naming the mandrill Obama was probably the zoo's gesture to honor President Obama who recently visited Dresden. Nevertheless, I hope that this series of events at the Dresden Zoo is a sign that we, as a global society, are capable of vanquishing racial stereotypes for good.